Nothing frames your face or gives you an instant lift quite like perfectly-shaped brows. But, unfortunately, not all of us are blessed with naturally gorgeous, bold brows. If you have fallen victim to over-plucking and are looking to give your brows a quick fix, an eyebrow pencil is your best bet. With just a few flicks, a good pencil can remarkably transform a sad pair of brows. 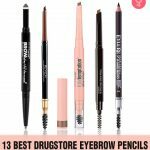 We’ve rounded up 13 of the best drugstore eyebrow pencils that can do wonders your brows without burning a hole in your pocket. 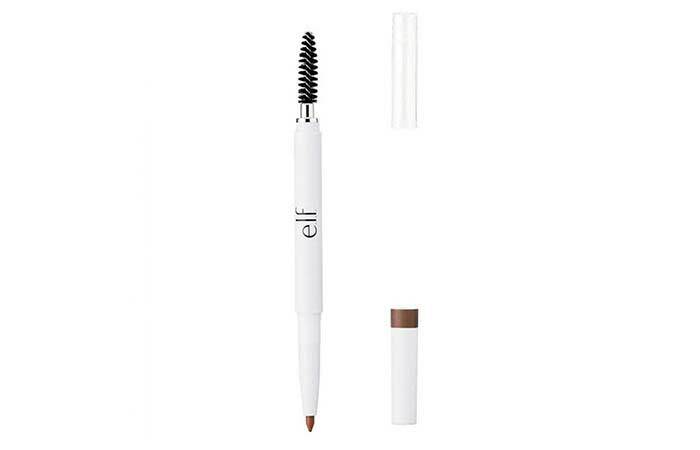 The Instant Lift Brow Pencil from e.l.f is one of the drugstore eyebrow pencils that’s suitable for beginners. 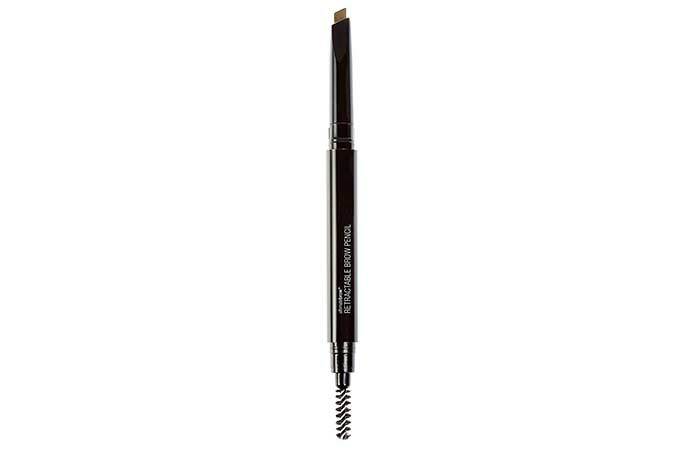 It shapes, defines, and fills in sparse brows to help you achieve a natural, polished look. This dual-shaped pencil comes with a fine-tip liner on one side and a spoolie on the other to tame and comb your brows. It is available in three shades: taupe, neutral brown, and deep brown. Another precious drugstore product is the Micro Brow Pencil from NYX Cosmetics. This pencil gives you the precision you need to build full, beautiful brows. It is super easy to use and is a great dupe of Anastasia Beverly Hills’ Brow Wiz. This brow pencil is available in eight shades. If you are looking for drugstore eyebrow pencils that come with a brow powder, there’s nothing better than Maybelline’s Brow Define And Fill Duo. You can achieve smooth and full brows in just two easy steps: define your brows with the eyebrow wax pencil, and fill them in with the powder to finish. 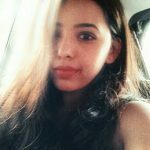 This one is indeed a game-changer. 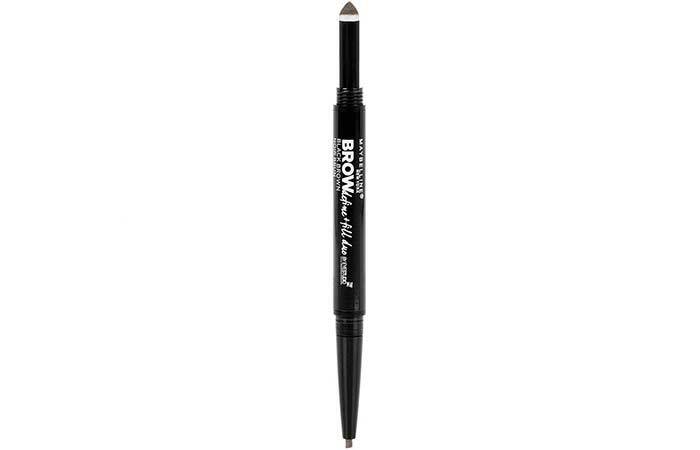 This brow pencil from Wet n Wild has a triangular tip that creates finer strokes for a more natural finish. It is formulated with rub-resistant pigments that make it last through the longest of days. You also get a spoolie on one side to blend out the product. You can get this brown pencil in four shades: taupe, ash brown, medium brown, and dark brown. The L’Oreal Brow Stylist Designer Eye Pencil uses subtle color to create soft, natural definition. On one end, you get a soft crayon tip, and on the other, a spoolie brush that is perfect for feathering. This eyebrow pencil is available in three shades: blonde, brunette, and dark brunette. 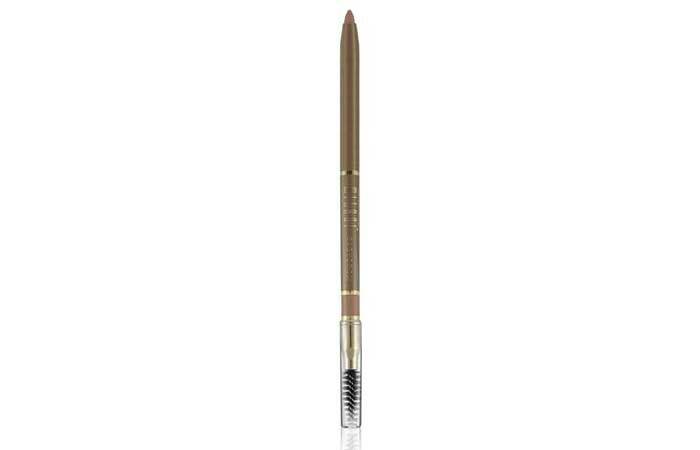 Milani’s Easy Brow Mechanical Pencil fills even the smallest gaps with natural-looking volume. 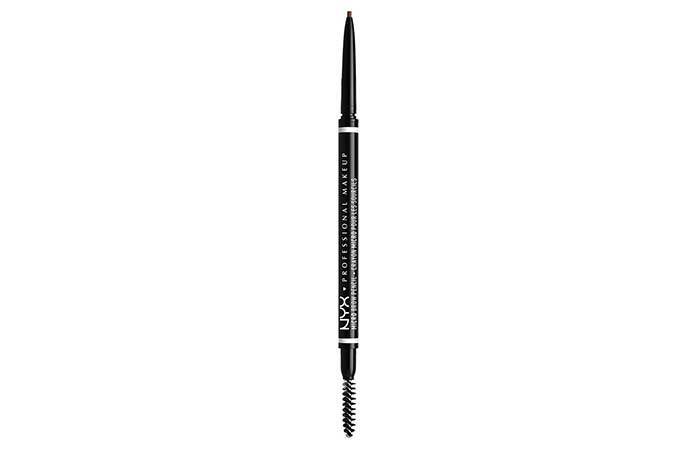 Its water-resistant formula glides on smoothly to define and shape your brows beautifully. 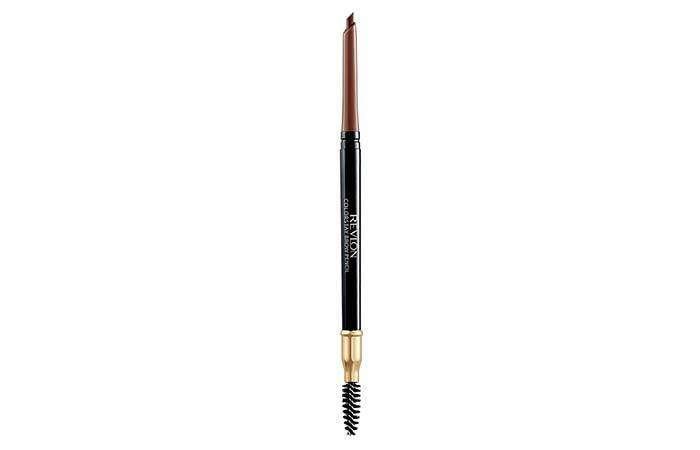 This brow pencil comes in two shades: natural taupe and dark brown. If you’re looking for a drugstore pencil that actually lasts 24 hours, Revlon’s Colorstay Brow Pencil is a great option. Its angled tip helps you fill in your brows precisely, and its brush tames the wildest of brows for a stunning, sculpted look. This waterproof drugstore eyebrow pencil comes in five shades. 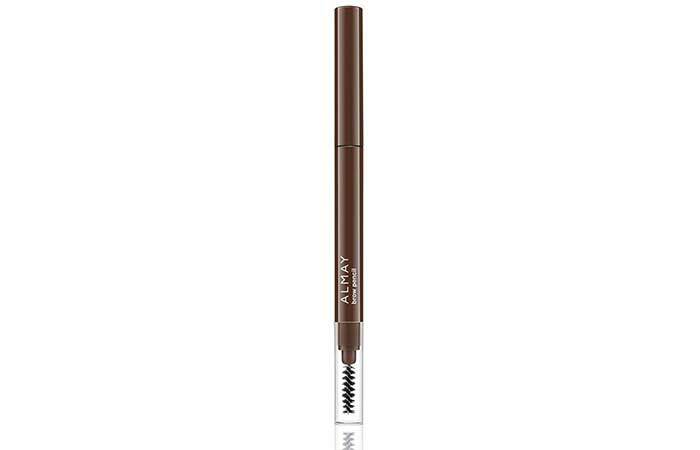 Almay’s Brow Pencil is one tool that does three things: define, fill, and tame your brows. This versatile pencil comes in only two shades: dark blonde and brunette. If you happen to fall within this color palette, you’re in luck. It goes on smoothly and stays in place through the wildest of days. 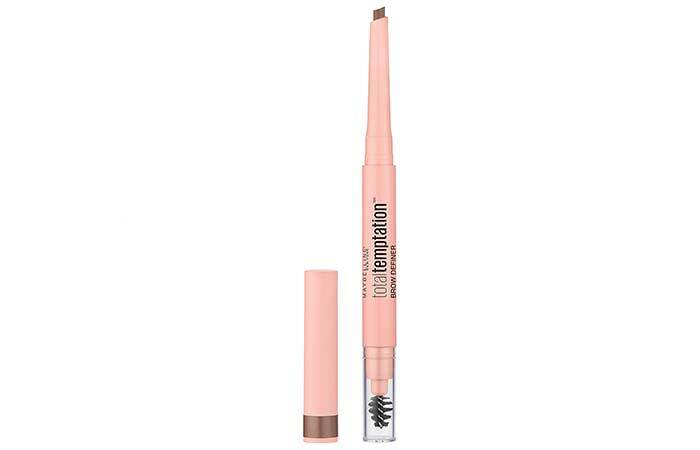 The Total Temptation Eyebrow Definer Pencil from Maybelline fills in brows precisely with its teardrop-shaped applicator. It works brilliantly for someone with light, sparse eyebrows. This stunning eyebrow pencil is available in four shades: blonde, soft brown, medium brown, and deep brown. This pencil from No7 has an angled-tip, making it ideal for sculpting and defining your brows. It also comes with a fiber brush to help you achieve the perfectly-groomed finish. This pencil is available in four shades: gray, black, blonde, and brown. 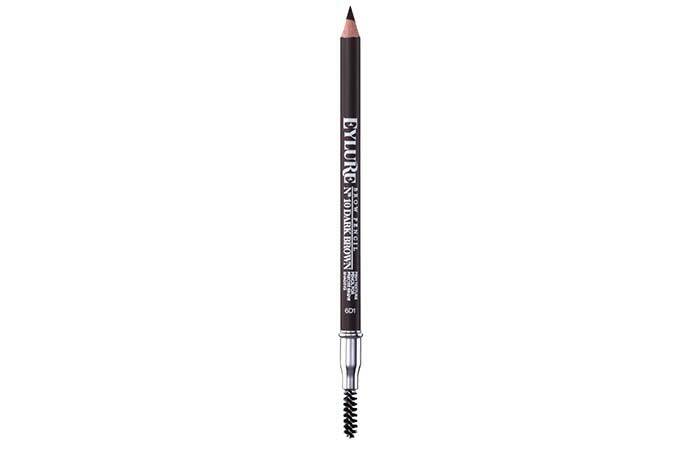 Eylure’s Brow Pencil is made with nourishing and conditioning oils that help your brows stay healthy. 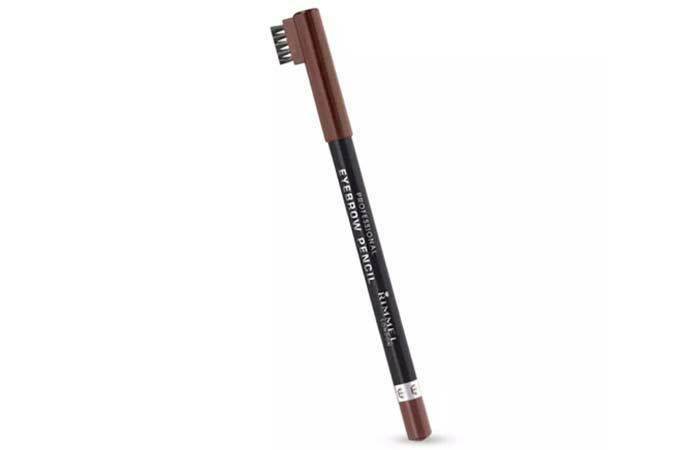 Its pointed tip fills in sparse spots and enhances your eyebrows with a subtle wash of color instantly. This brow pencil is available in three shades: blonde, mid brown, and dark brown. 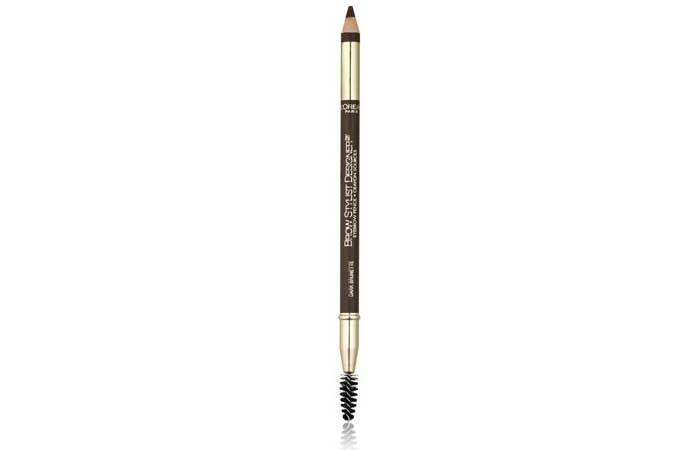 Whether you want to fill in gaps or enhance and refine the shape of your brows, this pencil from Rimmel does it all! You get fuller eyebrows that never look fake. This eyebrow pencil comes in three shades: dark brown, hazel, and black brown. 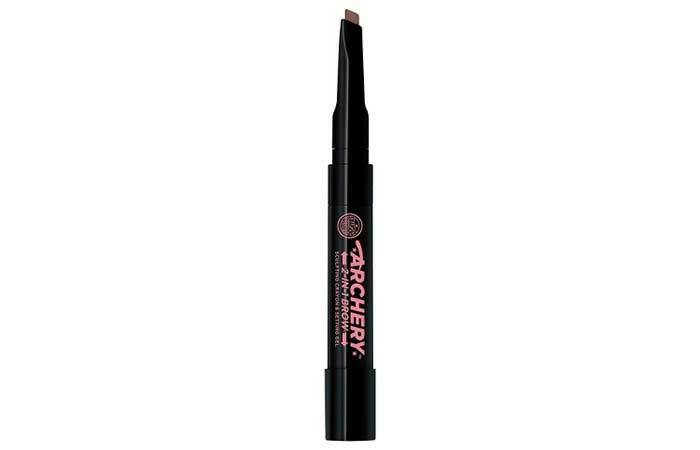 Take your brows to the next level with Soap & Glory’s Archery Sculpt & Set Eyebrow Pencil. This double-ended pencil comes with an angled crayon for precise filling, and a gel with a spoolie to set your brow hairs in place. This best drugstore brow pencil comes in three shades: Dark Chocolate, Brownie Points, and Love Is Blonde. When picking out a color for your brow pencil, makeup artists always recommend going for a shade that is one shade lighter than your natural brows because you want the look to be subtle and soft. A waxy brow pencil will always help you achieve a realistic finish. 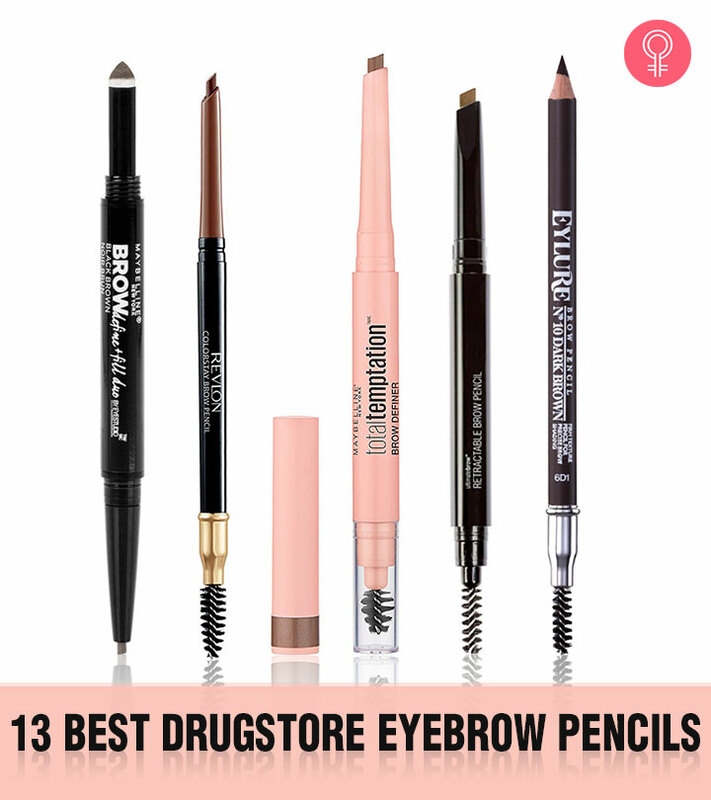 That was our round-up of the 13 best drugstore eyebrow pencils. Which one are you looking forward to trying? Let us know in the comments section below.